Homeowners in the Southwest are well aware of all the beautiful sunsets and desert vistas provided by the surrounding nature. Patio doors give homeowners the ability to welcome all the Southwest has to offer. Trim Team offers sliding or hinged patio fiberglass doors with paint or stain grade options. Ours give homeowners the ability to use El Paso’s near-constant sunshine for good. Patio doors allow more light to enter your home, resulting in reduced energy costs. By using less artificial light and more natural light, your home will boast a pleasant, relaxing aura which friends and family members can bask in. 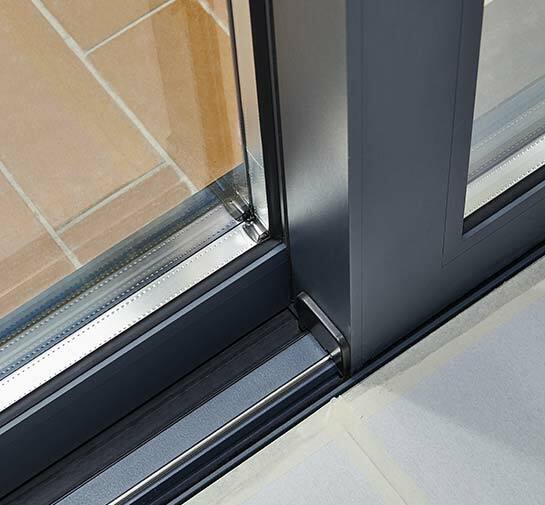 Due to their sliding action, sliding patio doors won’t take up too much space when they’re open. This makes sliding doors an excellent option for homeowners who want to use their space as efficiently as possible. Sliding doors come in a variety of styles and colors to perfectly suit your needs. What sets sliding patio doors apart from their hinged counterparts is the amount of light the former can let in. Since sliding doors don’t require hinges to open or close, they can make more efficient use of the surface area. This means your patio door can have more windows which in turn increases the natural light, resulting in a more comfortable interior space. Best of all, your patio door will serve as a window into the beautiful, natural splendor El Paso has to offer. Hinged patio doors (also known as “French doors”) are the classic choice for homeowners in the Southwest. They add a touch of natural light and splendor to any home. What’s great about hinged patio doors is their versatility. Depending on where you decide to put the door knobs, you’ll have the freedom of swinging the doors open to create a perfect passage from your home to your patio. Hinged patio doors can also have a single knob on the left or right side. Patio doors, whether they slide or are hinged, effortlessly bring the beauty of natural light into your home. When it comes to finding the perfect patio doors for your home, it’s imperative to make sure every single piece of hardware, the color choice, and the window options work in unison. Trim Team offers all the best options to create a patio door that will suit your needs, all while perfectly fulfilling your desired aesthetic. We offer paint or stain grade options as well.